Known pharaohs of the Sixth Dynasty are as follows (the absolute dates given are suggestions rather than facts, as the error margin amounts to tens of years) The pharaohs of this dynasty ruled for approximately 164 years. The Horus names and names of the Queens are taken from Dodson and Hilton. 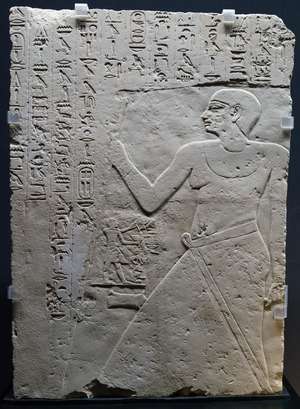 Dynasty VI was founded by Teti, who had married Iput, commonly believed to be the daughter of the Dynasty V pharaoh Unas. Manetho claimed that Teti was eventually murdered by his own bodyguard, but no contemporary sources confirm this. The most notable member of this dynasty was Pepi II, who is credited with a reign of 94 years, one of the longest of any monarch in history.